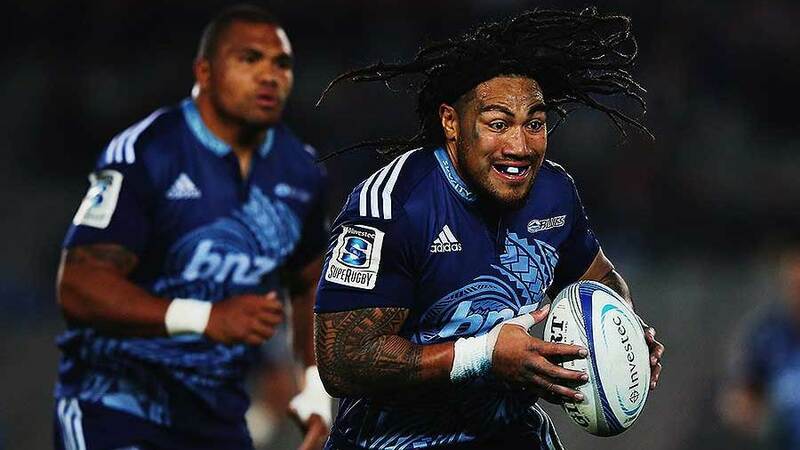 Blues: Pita Ahki, Josh Bekhuis, Dan Bowden, Luke Braid, Jimmy Cowan, Joe Edwards, Charlie Faumuina, Jamison Gibson-Park, Frank Halai, Bryn Hall, Simon Hickey, Jerome Kaino (capt), Ben Lam, Tevita Li, Steven Luatua, Keven Mealamu, George Moala, Hamish Northcott, Brendon O'Connor, James Parsons, Charles Piutau, Sam Prattley, Culum Retallick, Francis Saili, Peter Saili, Angus Ta'avao, Hayden Triggs, Patrick Tuipulotu, Ofa Tu'ungafasi, Lolagi Visinia, Ihia West, Tony Woodcock. Wider training group: Blake Gibson, William Lloyd, Matt Moulds, Melani Nanai, Greg Pleasants-Tate, Matt Vaega. Chiefs: Michael Allardice, Johan Bardoul, Sam Cane, Aaron Cruden, Mike Fitzgerald, Hosea Gear, Mitchell Graham, Nathan Harris, Bryce Heem, Andrew Horrell, Tevita Koloamatangi, Michael Leitch, Anton Lienert-Brown, James Lowe, Pauliasi Manu, Tom Marshall, Rhys Marshall, Quentin MacDonald, Jamie MacIntosh, Damian McKenzie, Liam Messam, Charlie Ngatai, Sean Polwart, Brodie Retallick, Augustine Pulu, Liam Squire, Matt Symons, Seta Tamanivalu, Ben Tameifuna, Siate Tokolahi, Brad Weber, Sonny Bill Williams, Tim Nanai-Williams. Wider training group: Ben Afeaki, Leon Fukofuka, Anton Lienert-Brown, Marty McKenzie, Toni Pulu, Maama Vaipulu. Crusaders: Scott Barrett, Dominic Bird, Daniel Carter, Wyatt Crockett, Israel Dagg, Mitchell Drummond, Andy Ellis, Kieran Fonotia, Owen Franks, Robbie Fruean, Ben Funnell, Willi Heinz, Nepo Laulala, Richie McCaw, Johnny McNicholl, Jone Macilai, Joe Moody, Nemani Nadolo, Tim Perry, Kieran Read, Ged Robinson, Luke Romano, Colin Slade, Jordan Taufua, Codie Taylor, Tom Taylor, Matt Todd, Jimmy Tupou, Luke Whitelock, Sam Whitelock. Wider training group: Nathaniel Apa, Jed Brown, David Havili, Alex Hodgman, Richie Mounga, Tom Sanders. 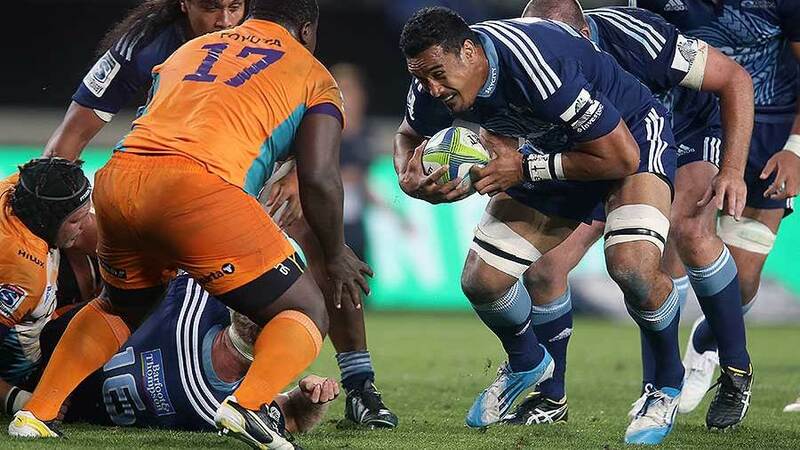 Highlanders: Alex Ainley, Kurt Baker, Marty Banks, Richard Buckman, Shane Christie, Liam Coltman, Ash Dixon, Elliot Dixon, Brendon Edmonds, Jason Emery, Gareth Evans, Malakai Fekitoa, Ma'afu Fia, Tom Franklin, Ross Geldenhuys, Kane Hames, John Hardie, Josh Hohneck, Nasi Manu, Waisake Naholo, Patrick Osborne, Hayden Parker, Dan Pryor, Mark Reddish, Trent Renata, Aaron Smith, Ben Smith, Lima Sopoaga, Pingi Tala'apitaga, Fumiaki Tanaka, Shaun Treeby, Joe Wheeler. Wider training group: Lee Allan, Sam Anderson-Heather, Joe Latta, Josh Renton, Ryan Tongia, Tei Walden. Hurricanes: Mark Abbott, Vince Aso, Beauden Barrett, James Broadhurst, Dane Coles, Geoffrey Cridge, Chris Eves, Ben Franks, Callum Gibbins, Reggie Goodes, Willis Halaholo, Iopu Iopu-Aso, Cory Jane, Reynold Lee-Lo, Christian Lloyd, James Marshall, Motu Matu'u, Nehe Milner-Skudder, Ma'a Nonu, TJ Perenara, Matt Proctor, Ardie Savea, Julian Savea, John Schwalger, Brad Shields, Conrad Smith, Chris Smylie, Blade Thomson, Jeremy Thrush, Jeffery Toomaga-Allen, Victor Vito, Jason Woodward. Wider training group: Leni Apisai, Otere Black, Mike Kainga, Adam Hill, Hugh Renton, Frae Wilson.